Calvi is a harbour on the north coast of Corsica that offers regular links to Nice in France and is therefore a popular way of getting on and off the island. Ferries from Calvi can be booked with AFerry using the booking form on the left. 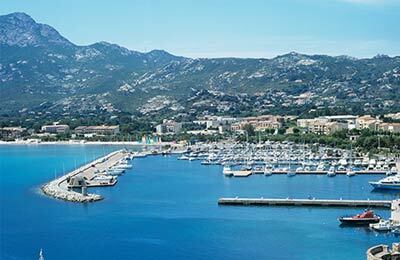 Calvi Ferry Port offers a full range of services and facilities. From Ile Rousse: Take the N197 and continue straight for 22 Km. 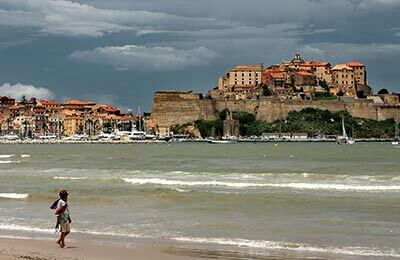 From Ajaccio: Take the N194; then continue on the D81 that will lead you straight to Calvi. The Train in Corsica is called Trinighellu, many tourists visit the island by train. Everywhere in Corsica is well connected with the rest of the island by many bus and coach services.